The Korg nanoKONTROL Studio USB Bluetooth Controller is a slim-line, portable studio MIDI controller and works via Bluetooth, allowing the user hands on, mouse free control over your DAW anywhere at any time. The Korg nanoKONTROL features knobs, buttons and faders that can be freely assigned to almost any MIDI parameter within your host software, plus no hassle driver free setup – meaning you can plug and play straight out of the box. Transport functions allow you to start, stop record and locate as well as punch in markers. 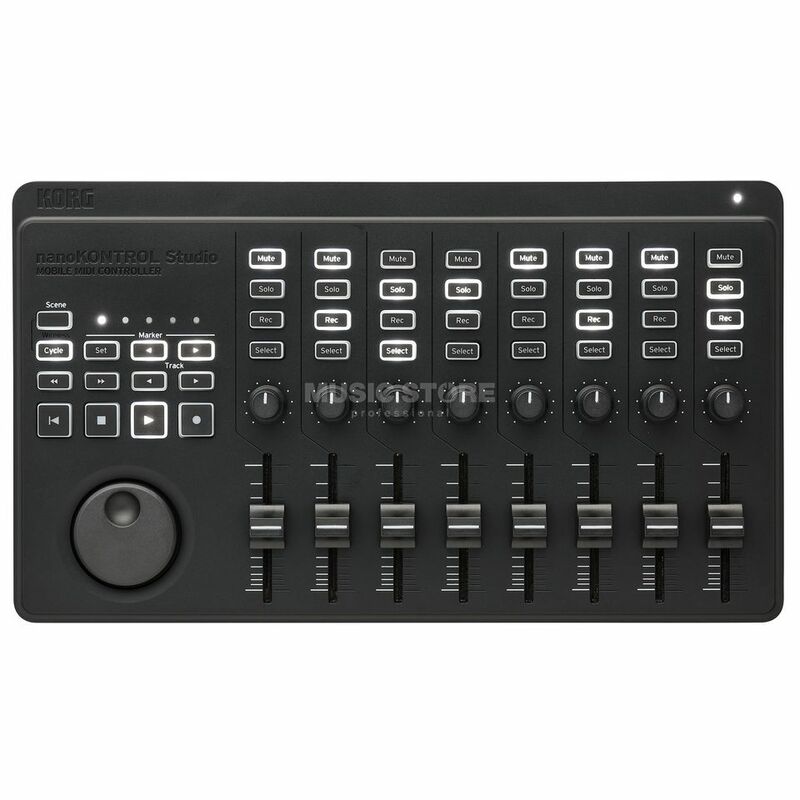 Each of the mixer channels features three buttons assigned to solo, mute and record arm. To further customize the nanoKONTROL you can utilise the Korg Kontrol Editor software, available as a free download. Here you can set parameters like minimum and maximum settings for the control change.